Which 3D Printer should you buy? If you were to ask me today “Hey Pete, what 3D Printer should I get?” and you didn’t really provide me any more info on what you want to print, or what your budget is, I’d rattle off a bunch of my own 2 cents, or maybe even 4 cents. So that’s what I did below. 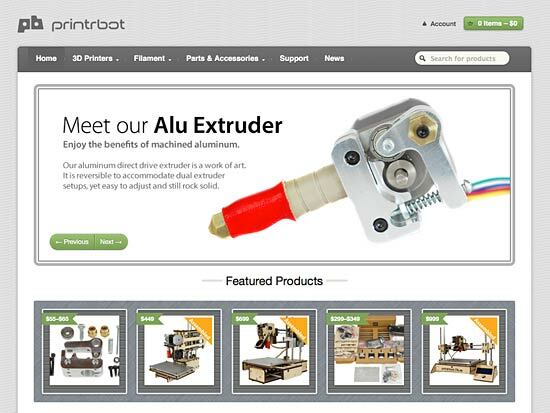 Printrbot grew from a (very) successful Kickstarter campaign, and the original goal was to get more 3D Printers out into the world, and they’ve definitely done that. 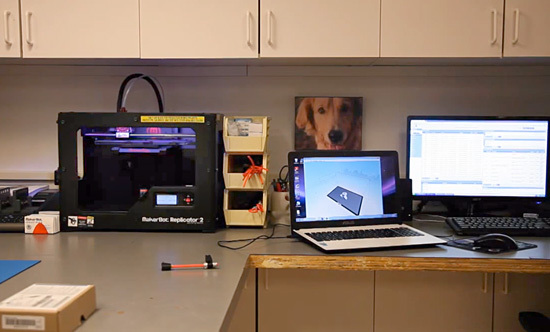 Their offerings include kits and fully assembled printers, ranging from a few hundred dollars up to about $1,000. The Printrbot machines have been made with laser-cut wood, but they’ve just announced a new printer with a metal frame, which should help improve quality a bit. The default print volume of the Printrbot machines isn’t too big, but if you want cheap, Printrbot is an option. Deezmaker also grew from a Kickstarter campaign, and I’ll admit, much of my respect for Deezmaker comes from the super-smart Whosa whatsis and his involvement. If you’ve been around the 3D printing / RepRap community for the last few years, that name may mean something. Did I mention he’s super-smart? I totally trust Diego and Whosa to make high-quality printers and be awesome dudes when they do it. Prices range from $800 to $1,500, a bit more than Printrbot, but I think the price is warranted, as you get a better machine. Moving on up, it’s the LulzBot folks! With the new TAZ 3 they’ve created a damn impressive printer. They’ve had impressive printers before as well, and they’ve had a program that included giving hackerspaces free/discounted printers, which is pretty cool. 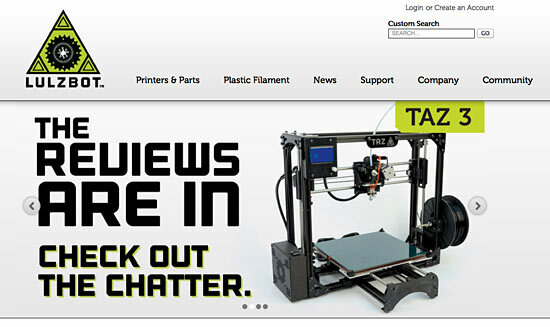 If you’re looking for a bit of a more established company, LulzBot (despite the name) may be a good choice. You’re now in the $2,200 price range though, and they really only have the one model, but from all I’ve heard, it’s a damn nice machine. Oh yeah, there’s also MakerBot! MakerBot was the poster child of 3D printing when I first got into it years ago. They did a lot to bring 3D printing to the people, and then they went closed source, and got acquired by Stratasys, a company which holds a lot of patents, and while they do some amazing things in the world of 3D printing, they also threaten to slow the growth of 3D printing through lawsuits, which I’m not a fan of. 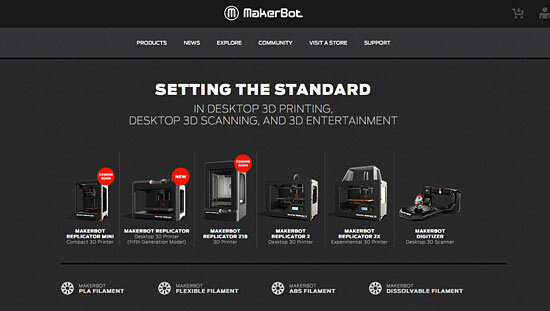 If your eyes glazed over reading that last bit, a MakerBot may be right for you. To be honest, they make pretty good machines, and you might consider them the “IBM” of 3D Printers. If you need one for work and you want support and a company to call/blame/etc. MakerBot might be right. You’ll probably spend $2,200 or more, though they did just announce a “mini” at $1,400. 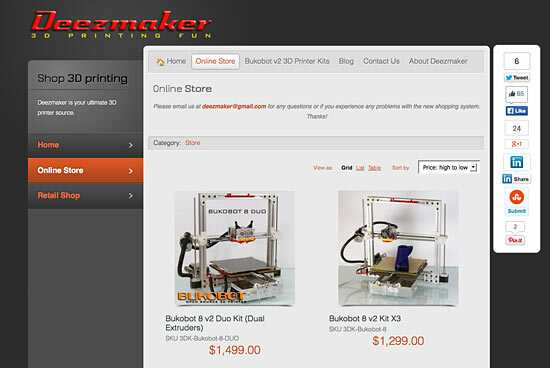 So there ya go, my recommendation for buying a 3D Printer as of February 2014. Now, if you want to build a 3D Printer, that’s an entirely different story! While some people focus on 3D printing guns, other are making the world a better place, improving the lives of those around them, and just generally being completely freaking awesome. 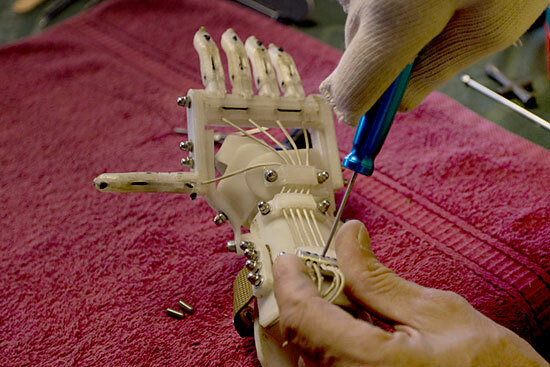 Robohand is focused on developing open-source designs for mechanical finger prosthetics. Thanks to Makerbot generously providing two Replicator 2′s to the project, we are now exploring the ways in which 3D printing can be applied to our efforts! 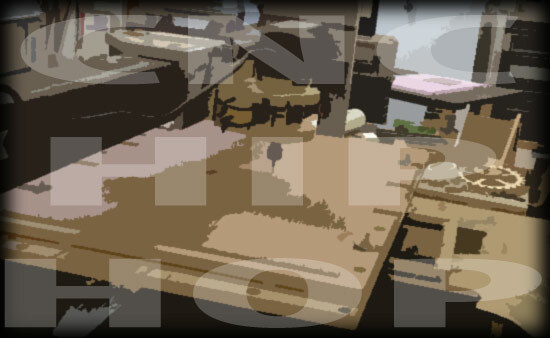 Check it out on Thingiverse, or the MakerBot blog. And you, 3D printer operator, don’t be afraid of making the world a better place, or at least trying. Using technology to improve lives is a good thing. We need more of that in the world. I don’t know if the Maker Movement has any hip-hop artists in its ranks, but at some point someone is going to want to write a rap mentioning CNC machines, so I’ve compiled a list of suitable rhymes for “CNC” and I present them here. Note that some of these words/phrases are serious, and some of them are just for fun. It takes all kinds. Alright! That should be enough to get started… can you think of any more? MKE3DP – 3D Printer Fans Unite! As you may know, I finished my RepRap recently. But here’s the thing, you never really finish a RepRap. It’s a beast in need of endless tweaking. So yeah, it’s a never-ending project (if you want it to be) and I’m okay with that. I mean, once you get to the point that it works, you can start using it to upgrade itself. How many tools can do that!? Of course you can actually make useful things, functional things, or just pretty things. There’s a lot a 3D Printer can do. I’ve only been at it for less than a year and I’ve still got a lot to learn. So anyway, yeah, I’m really enjoying this 3D Printing stuff… so I figured, why not share it with others? So join us for the first Milwaukee 3D Printing Meetup! We’ll be meeting on Sunday, July 1st, 2012 at 1:00pm. We won’t be at our space because we’ve partnered with our friends at UWM for this one! Show up at UWM’s Kenilworth Square East Building, 3rd Floor; Room 368 on 1925 E. Kenilworth Place. If you’ve got a 3D Printer, bring it, or just show up and learn about them. If things go well and there’s interest, maybe we’ll turn it into a regularly scheduled meeting.